The Delbridge House was designed and built by three brothers, all builders, Ian, Max and Malcolm, for their parents, Harold and Florence Delbridge. Max was the principle designer, and in company with his brothers and father (also a builder) undertook the actual construction as well. 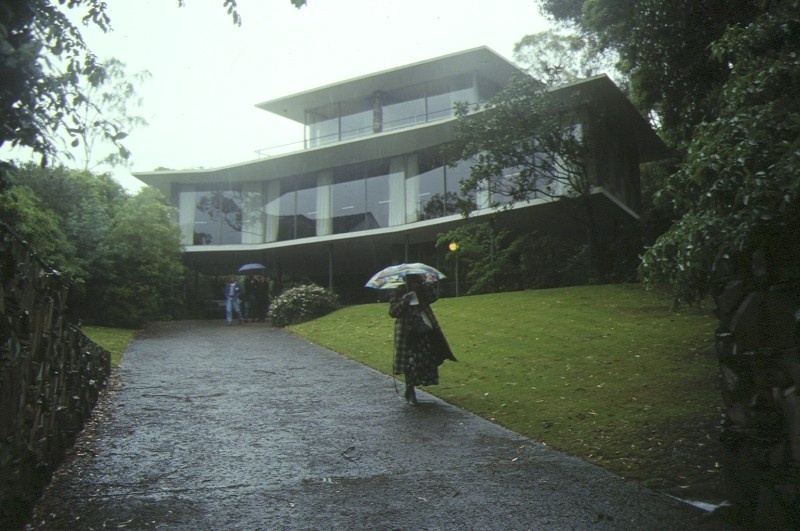 The site was purchased in 1957, and the house was largely completed in 1960. Mr & Mrs Delbridge lived in the house until their deaths in 1991 and 1993 respectively. At this time, the brothers decided to sell the house, and Max took the opportunity to complete some elements he intended, but never completed. The house, located high up a sloping site, is a dramatically designed and sited structure. The impression is of an extremely light weight building, an expectation heightened by the sheer all-glass floor to ceiling walls and a thin concrete cantilevered flooring system set on thin supporting steel piloti. The effect is of a house hovering above the ground with little apparent support. The structure is in re-inforced concrete, supported by a cross-shaped slate clad central spine that rises up through all three levels of the building. While the house appears large, it is in fact a small two bedroom house, mainly on one floor. The ground floor is largely open, with carparking and entry lobby, and the top floor is a single sun room with access to the extensive roof. The interior of the house features numerous unusual and original decorative features largely designed by Max Delbridge, such as the cantilevered terrazzo stairs, the bent brass stair railing, the natural patterned stone on the central support, the wood-block patterning on the central corridor, the square patterned tiling in the bathroom, the coloured glass-bead light fittings in the lounge, and the chequerboard coloured concrete on the rear elevation. These features have been carefully detailed and integrated and remain substantially intact. 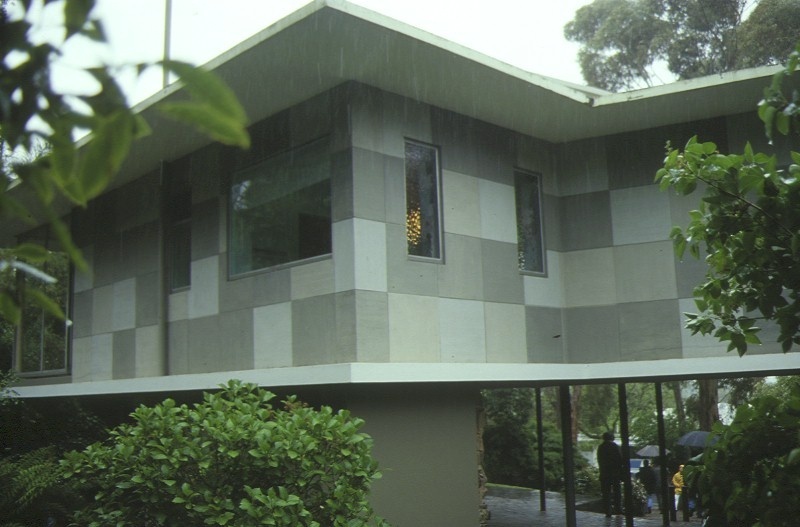 The Delbridge House is architecturally and aesthetically significant to the State of Victoria. ultra-modern homes of the period. 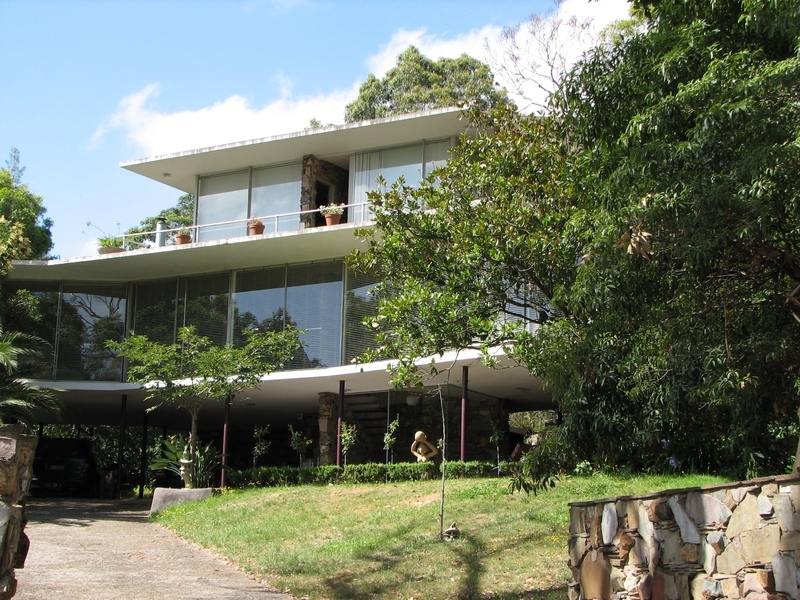 Numerous houses survive from the 1950s and early 1960s that were designed by noted architects, embodying various structural and formal experiments, whereas the Delbridge House, not being designed by an architect, expresses popular notions of modernity, and to a remarkably refined degree. 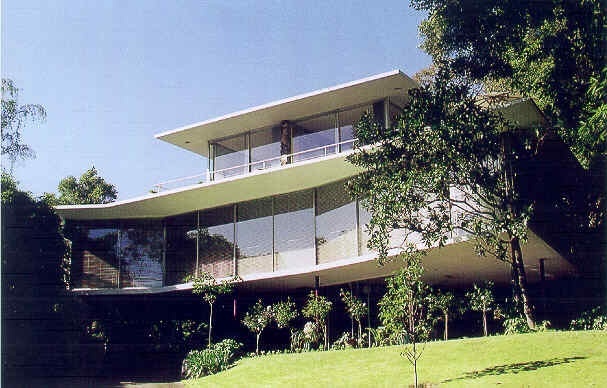 The floating structure and all-glass appearance, was achieved only by daring structural engineering. This was devised by Emery Balint, Head of Civil Engineering at RMIT, allowing the structure to largely cantilever from the central core. The large sliding floor to ceiling windows were designed and made by Ian and Max Delbridge. Unrestrained by modern architectural discourse against featurism, the interior is remarkable for including a spectacular array of decorative finishes, designed by Max. Some, such as the glass-bead light fittings and the patterned wood-block wall are highly original, while others, such as the cantilevered stairs and natural stone walling, are expressive of the period, and all are intact. 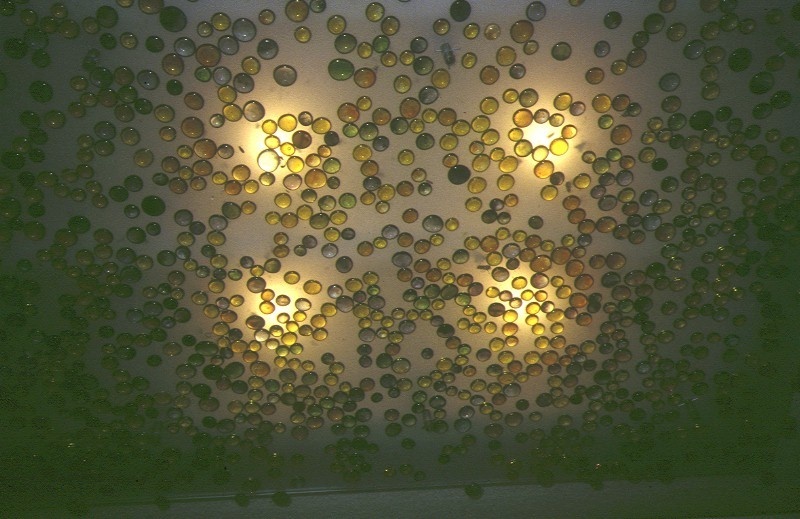 Most of the fixtures and fittings throughout the house, especially in the bathroom and kitchen, are also original. Aesthetically, the house presents a number of dramatic and delightful effects. 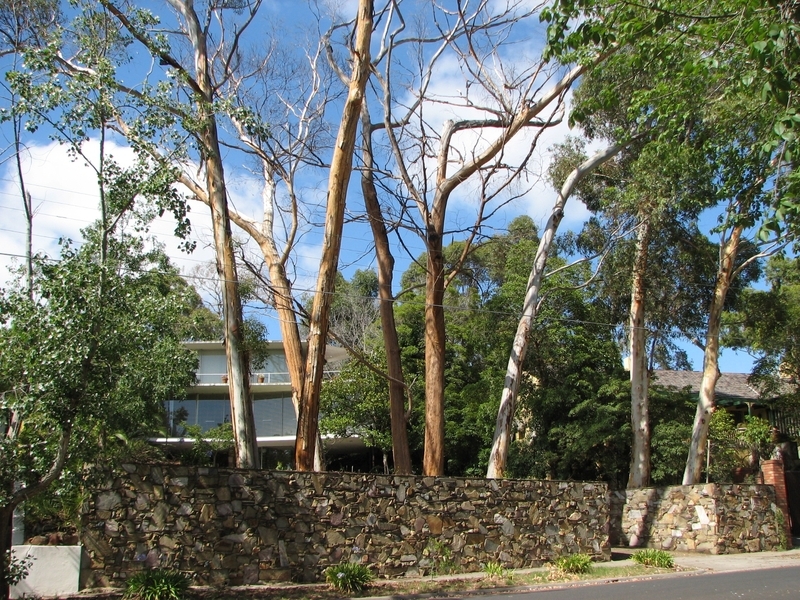 The extent of glass and daring structure creates a building that seems to float on its grassy hillside lot, set amongst tall mature Eucalypts. The various decorative effects in the interior are also striking and delightful, featuring natural materials, and an extensive use of colours and textures, which are also extremely rare in a domestic context. 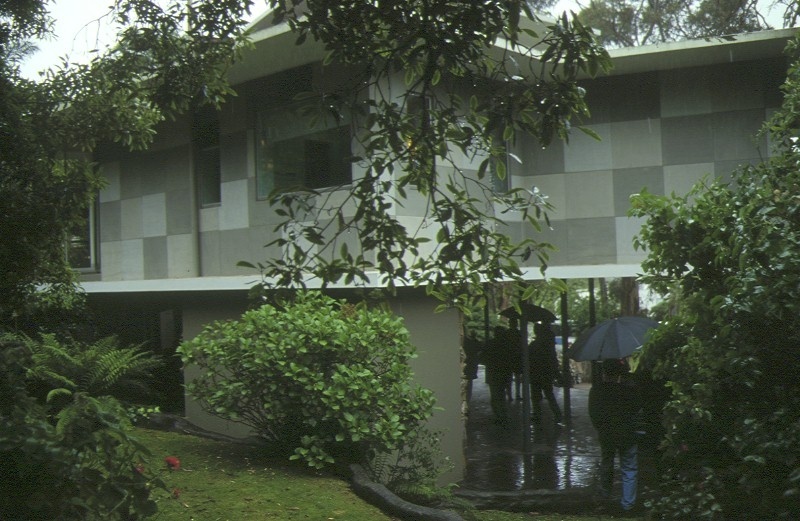 The Delbridge House, 55 Carlsberg Road, Eaglemont, Banyule City Council. 1. All the building known as former Delbridge House marked B1, the main drive path P1, the stone walls on Carlsberg Rd and their returns marked W1 & W2 on Diagram Number 607112 held by the Executive Director. 2. 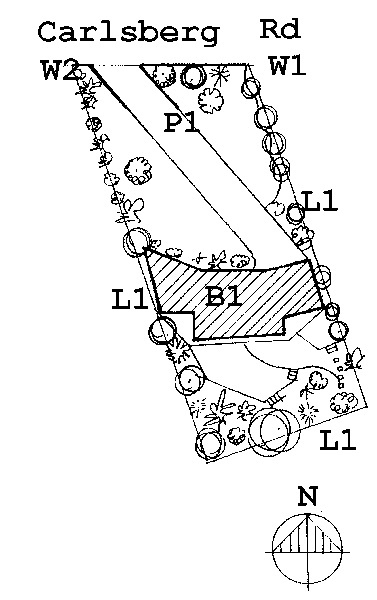 All the land marked L1 on Diagram Number 60 7112, held by the Executive Director being all the land described in Certificate of Title Vol 8184 Folio 174. Mr and Mrs Delbridge were born in 1905 and raised their three sons Ian (b. 1931), Max (b.1933) and Malcolm (b. 1934) in the Coburg area. All three brothers became builders and were working with their father by the early 1950s. In 1953 the family moved to Heidelberg, and in 1956 Mrs Delbridge began searching for a suitable site for a retirement home. Ian found and bought the site in 1957 and Max (aged 24) began designing the house in that year. By this time the three sons were running the family business. Max had spent two years training in Fine Art at RMIT and was considered the creative one of the family. Remarkably his mother accepted almost every element of what must have appeared as a 'youthful experiment' in house design. The house embodies both a concern for the comfort of Mr & Mrs Delbridge, including built in drying cabinets, air conditioning, and easy clean surfaces as well as the dramatic and scenic possibilities of the site. The house was designed practically without a right angled room; instead it is curved to embrace the site and capture the view. The nearly all-glass front elevation, with its thin lines of projecting slabs, was achieved through a creative approach to reinforcing designed by senior structural engineering lecturer at the RMIT, Emery Balint. 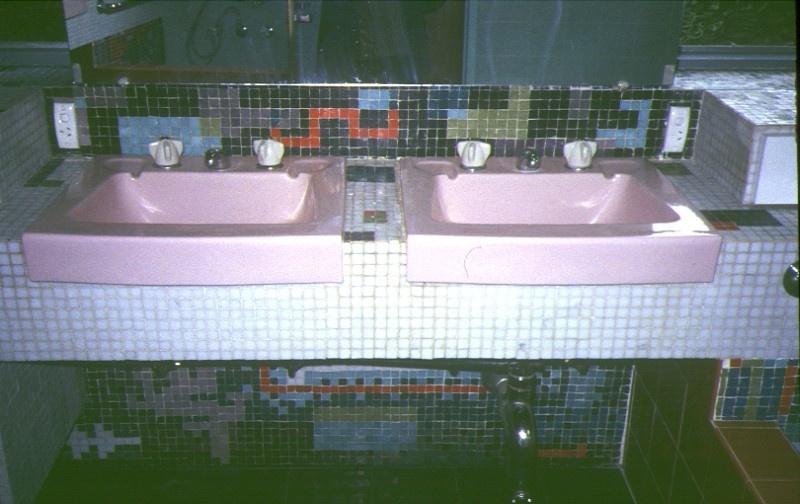 All of the fittings and decorative surfaces were designed by Max and executive by him, his brothers or specialist contractors. In order to achieve the desired effect Max consulted with such bodies as the CSIRO. The house was completed by 1960 and Mr and Mrs Delbridge remained occupants until their deaths in the early 1990s. The house remained in original condition until the brothers decided to sell in November 1993. At this time Max took the opportunity to complete the house. The curving carpeted wall, the top rail of the balustrade and the low safety rail on the top deck are all recent yet sympathetic additions. All the original furniture has been removed. The historical importance, association with or relationship to Victoria's history of the place or object. The importance of a place or object in demonstrating rarity or uniqueness. The house is rare in so far as it has a high degree of intactness and it may bee seen as an individual creation using features, textures and materials in an outstanding aesthetic combination. The place or object's potential to educate, illustrate or provide further scientific investigation in relation to Victoria's cultural heritage. The house contains intact architectural (domestic) features of the late 1950s/60s period. This is a period totally under represented in the Heritage Register. The house has already been upheld as an important exemplar of the period in the popular press, in architectural publications and through public tours. The importance of a place or object in exhibiting the principal characteristics or the representative nature of a place or object as part of a class or type of places or objects. The intactness of the place makes it an outstanding exemplar in exhibiting the principle characteristics of the period. The quality of the construction make it more than being representative but the house does contain individual spaces which may be found in other quality houses of the period. The importance of the place or object in exhibiting good design or aesthetic characteristics and/or in exhibiting a richness, diversity or unusual integration of features. The house exhibits an aesthetic integration of features, the richness and diversity of which rival and in some cases surpasses houses by well known architects. The importance of the place or object in demonstrating or being associated with scientific or technical innovations or achievements. The main innovation claimed is the aesthetic effect achieved through creative design of the thin supporting floor slabs to allow wide overhangs and yet achieve a thin slab. The importance of the place or object in demonstrating social or cultural associations. Renewal of carpets and drapes. The house is of importance for demonstrating 1960s features in generally intact arrangement of components. Furniture carpets and drapes have been renewed and are not original. Permit exemptions are at this time not considered appropriate.